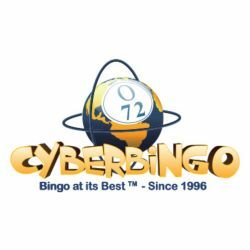 The CyberBingo Fair N Square bingo games play every day of the week between 6:00PM EST and 7:00PM EST in the Seasonal Bingo room. – Fair N Square $5 / $15 / $60 with a card cost of $0.25 per card (Players must purchase 15 cards per game). – Fair N Square $5 / $15 / $75 with a card cost of $0.35 per card (Players must purchase 12 cards per game). – Fair N Square $5 / $15 / $100 with a card cost of $0.50 per card (Players must purchase 9 cards per game). – Fair N Square Starting $50 + players wagers with a card cost of $0.25 per card (Players must purchase 12 cards per game). Make sure to join CyberBingo for the fairest bingo games every day in the Seasonal Bingo room!